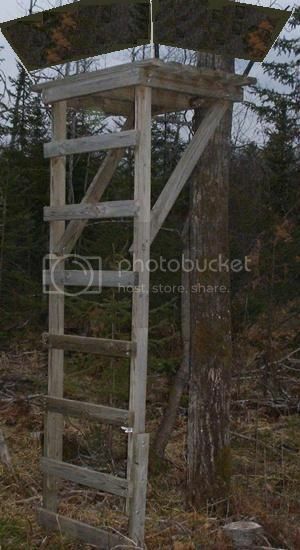 Hi All, I am looking at replacing my tree stand this year. Have been using the same stand for alot of years it is a fixed stand. Just curious what everyone has tried and been happy with or unhappy with. Any insight would be greatly appreciated. Last year I ordered 6 stands from the Sportsman's Guide from the U.S. . Although they where pretty cheap I couldn't sit in them for anymore than 3 hours at a time. As long as I'm warm enough I can sit in my Gorilla stands all day. To bad crappy tire doesn't sell them any more. I built me one of these last season for under $100. The plans are on the internet, Instead of the camo I put a 3ft 2x4 railing around the top. Much more comfortable than the commercial stands, you can move around a little when it gets cold. 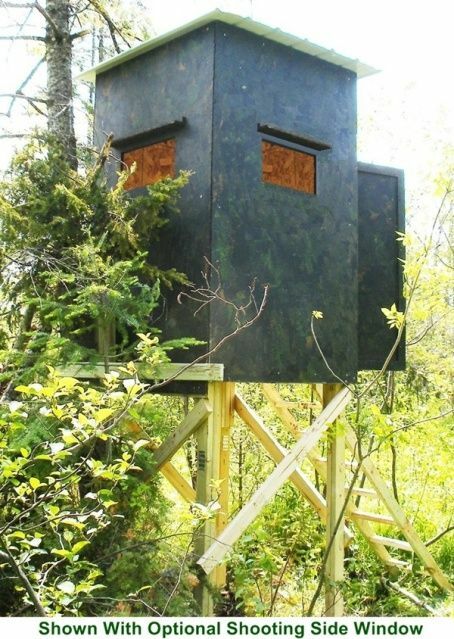 Hey Tuc I almost have the elevated box blind finished from that same site for the ladder stand plans. It was a pain in the arse to build by myself but will be nice and comfy at -20. I built the base a little higher at 14 feet than from the original plans. Yeah I like the custom built ones.. I love my gorilla 2 person stand. 16' to base with front ladder. Great for 2 people or if I am by myself. Permanent stands are the best but can be a crap shoot if the deer arent there. 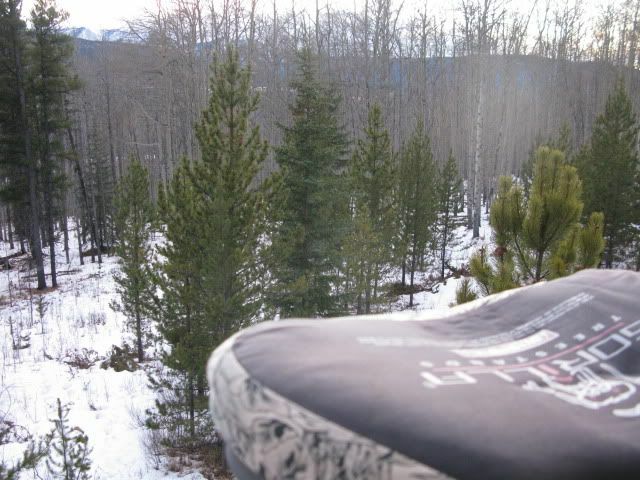 Here's a stand my buddy buildt on his land up north, the deer and elk walk right under it, it's been there for years. 2 bunks and wood stove, usually we will go in around noon in November and then play cards after dark, spend the night and a guy is right there for the morning hunt. Hey DW, your stand is looking good. Paul, that stand looks comfy, what did it cost your buddy to build? hey TUC... do you find that the wood gets squeaky when it gets cold out? I am not sure what it cost. I am building an aluminum insulated one for a guy right now very similar, it's 8 x 8 with a 4 foot deck extension and he's going to put it on 7" cemented in casing posts, will post some pics when it's done. Thank you for all the reponses. Some great looking stands. Wildmeat, it's actually not too bad. It has a few sqeeks in it but mostly when I'm climbing up and down.